Ideal first-time, buy to let investment or downsize purchase, offered to the market with no onward chain. Modern throughout, two double bedrooms, social aspect lounge/diner, conservatory, modern kitchen and bathroom. Sunny rear garden which makes for ideal space for any family BBQs and sunbathing. AGENT'S COMMENTS The ideal option for anybody wishing to take that first step onto the property ladder with this modern home or perhaps a buy to let investor searching to find a low maintenance house which would appeal to the buoyant rental market. Whatever your needs, this 2-bedroom home is a great investment and is offered to the market with the advantage of no onward chain. Set in a quiet location, close to local amenities and easy reach of the islands principal town centre, Newport with its busy High Street offering shops, cafes, restaurants and bars. You'll also be able to easily reach some stunning Island countryside including the historic Carisbrooke Castle which is in walking distance. Inside this chain free home, you'll find a lounge/diner and conservatory to the rear which maximizes the space on offer, ideal for socializing and entertaining with friends and family. 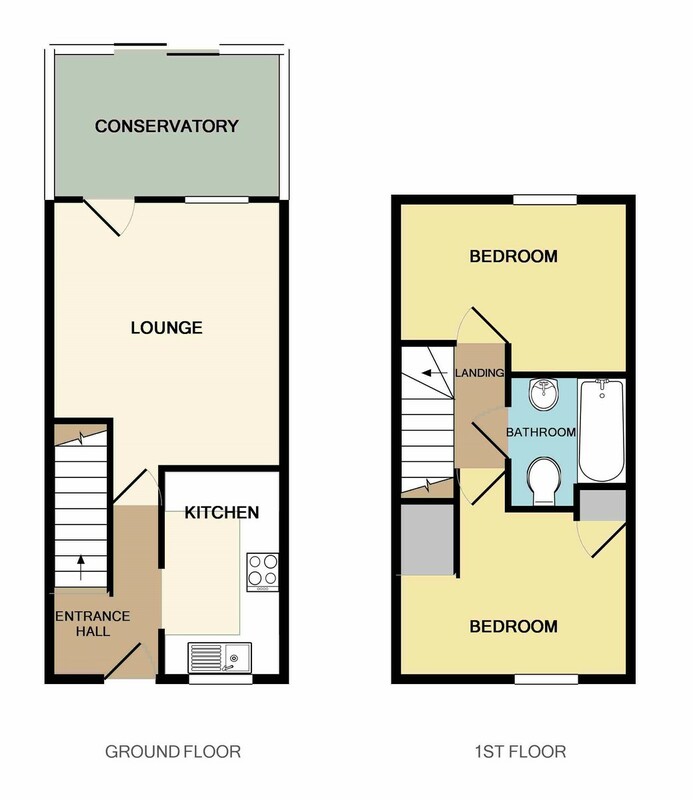 There is also a modern bathroom and two well sized double bedrooms. Outside you'll find a private rear garden which catches the afternoon sun, whilst the parking for the home is at the rear of the back garden accessed via a path. Carisbrooke is a small town on the outer edge of the Islands capital town. With many outstanding foot and bridle paths nearby, this location provides ample walking and riding opportunities; nowhere is far on foot and within no time at all you can enjoy all that Newport has to offer, a practical and eclectic mix of shops, eateries and bars.